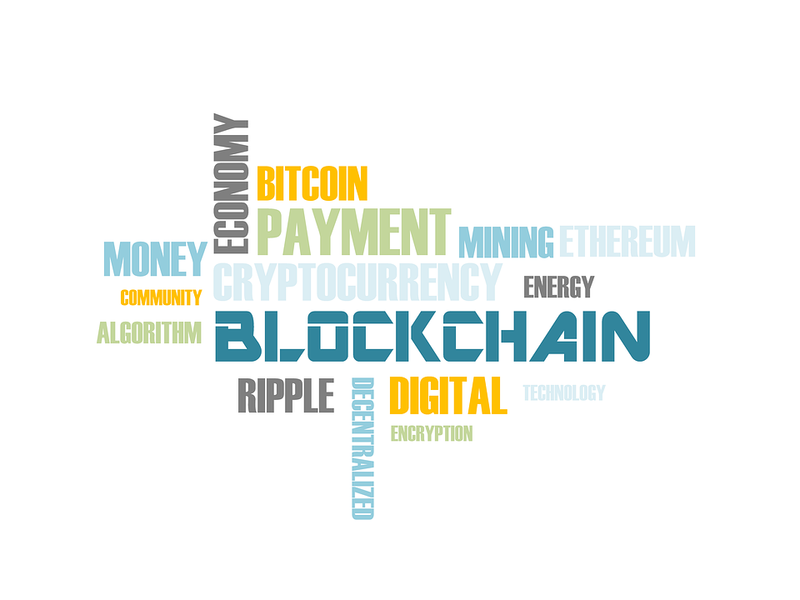 Cryptocurrencies and blockchain technology are often portrayed as the big challenger to the current financial system, promising to fight corporate red tape, increase financial inclusion and create a more just and transparent economy. While all this is true, it’s not always rainbows and unicorns in the crypto world. 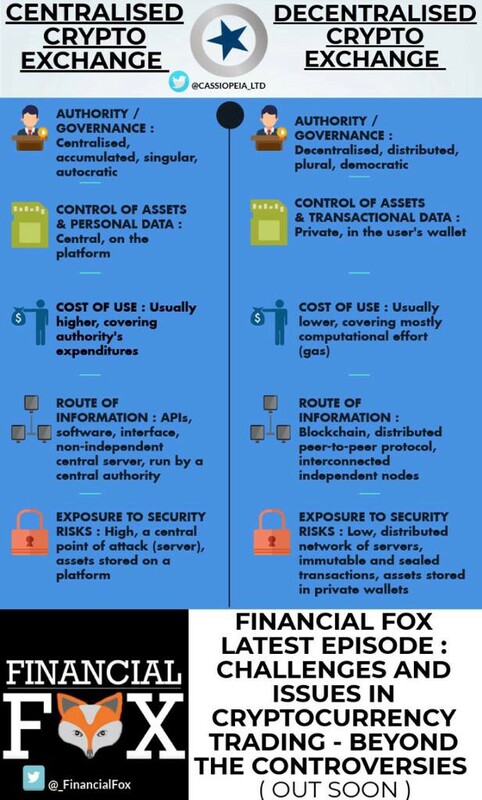 Different cryptocurrency exchanges can offer various types of cryptocurrencies and have different terms, policies, payment methods, and fees. Exchanges also differ on aspects such as security, user-friendliness, functionality, and design. These factors can all play a significant part when choosing the most suitable exchange. Talks over regulation of digital currencies and crypto exchanges are a way to help the market become healthier and more transparent. Cryptocurrencies and exchanges indeed have many issues to address and challenges to overcome. Here, we highlight some of the main concerns and recent issues that are preventing the crypto revolution from progressing to its next stage. The biggest problem currently in the crypto market is the lack of security. Indeed, with news of hackings and breaches often making headlines, users are demanding more protection over their assets and data. It is important to remember that as technology becomes more sophisticated, so do hackers. Exchanges are essentially so vulnerable to hacks because they centralise the risk, so further decentralisation can be an option in the pursuit for maximum security. Security is indeed an urgent and weighty matter. Coin Desk reports that each day, $2.7 million is stolen from exchanges, with the amount of cryptocurrency taken in 2018 having increased 13 times compared to the previous year. This amounts to $2.7 million in crypto assets being stolen every day, or $1,860 each minute. Indeed, it is a well-established fact that the majority of ICOs end up unsuccessful — some of them even fraudulent. Furthermore, many expensive crypto projects often make a case for themselves claiming they are decentralised, when in reality, data from Token Analyst for Yahoo Finance showed that nearly 80% of the top 50 coins are held by the top 20 wallets. In 16 cases, the 20 biggest wallets held more than 90% of total token supply. Much like in the more traditional economy, power dynamics also underline the negotiations and collaborations set in the crypto sphere, and the nuances of marketing strategies can mislead users and investors. The lack of transparency, accountability and professionalism from renowned institutions can poison the benefits of digital currencies and undermine the strength and influence of blockchain adoption in different industries beyond finance. True blockchain believers call for an end to sketchy practices in the financial system and market structures, promoting widespread professionalism and ethical standards. Initial Coin Offerings are a great way to attract investors, but part of them resulted to be scams. Exchanges need to be careful and strict enough only to list those crypto coins which are reliable and ensure that the right assessment is performed. Some exchanges charge a single flat fee, for example, 0.2% of the transaction value, on all trades. 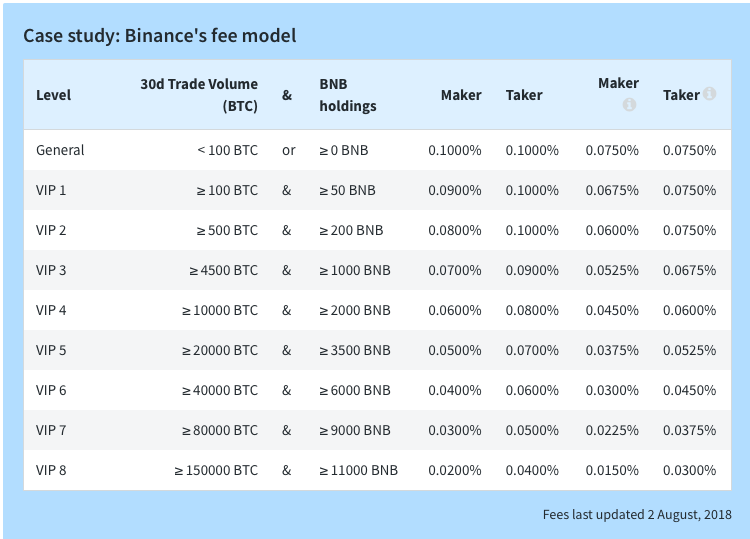 But many exchanges split their trading fees into two separate fees: the maker fee and the taker fee. In some cases, maker fees can be higher than the taker because the maker adds liquidity to the market, so the exchange ‘rewards’ the trader. Liquidity is a vital element for any of the market. A lack thereof creates an imbalanced environment, and things go out of control. Due to the decreased liquidity, orders are not placed/executed on time, and the doors are open for large holders to manipulate prices. Additionally, with a lack of liquidity, markets become more volatile and see more price slippages. A secondary issue of reduced liquidity is that it puts the power into the hands of cryptocurrency exchanges with large liquidity. Some major exchanges now charge up to $1 million to get tokens listed, essentially selling liquidity to the token projects. Currently, the majority of crypt exchanges are only lightly regulated, leaving room for sometimes shady or abusive manoeuvres. It is reported that crypto exchanges use bots to manipulate the prices of coins. Last September, cryptocurrency trader and analyst Alex Kruger exposed a promotion on Bithumb which inflated the trading volume on the exchange. “There currently are $250 million [in] fake volume traded at [the] Korean crypto exchange Bithumb, every day at 11 a.m. Korean Time, since Aug. 25. Bithumb offers 120 percent payback of trading fees as an airdrop. Trading fees are 0.15 percent taker. To collect the full KRW 1 billion rebate, a wash trader must thus trade KRW 278 billion. That is $250 million in daily fake volume. Notice how 31K Bitcoin is traded at exactly 11 a.m,” Kruger explained. While cryptocurrency transactions are known for being fast, delays can happen and can be a way to protect users from hackings or fraudulent transactions. Exchanges sometimes delay transactions if they suspect the user did not authorize the transactions. In light of these flaws and loopholes, and continuing cases of hacks and breaches of exchanges, regulations would be welcomed if tailored to ensure transparency and consumer protections. This year started with stronger calls for rules and regulations all around the world. In January, two major European regulatory bodies, the European Banking Authority (EBA) and the European Securities and Markets Authority (ESMA) have publicly called for better assessments of crypto technology and its impacts to develop appropriate regulations. In the US, the Securities and Exchange Commission (SEC) is applying their regulatory guidance to cryptocurrency projects as it considers another form of securities. 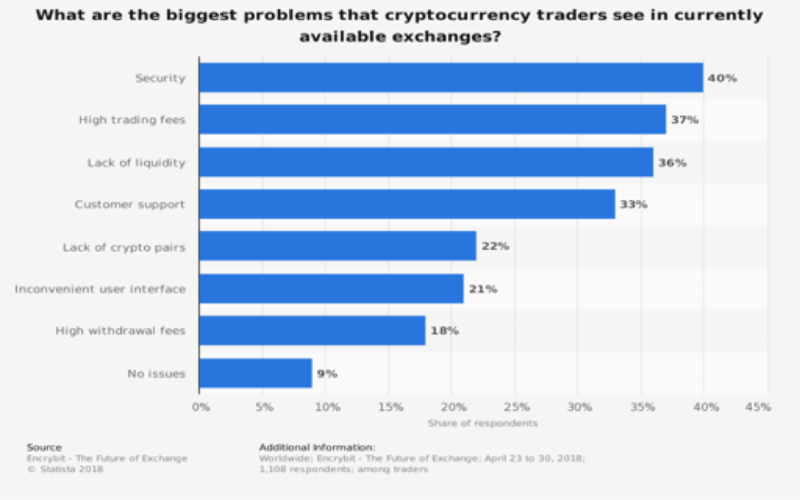 Recent controversies over exchanges ’ lack of professionalism and transparency are likely to prompt exchange regulations to be in place soon. Over the last few months, we have been seeing more moves from centralised exchanges towards decentralisation. Binance, for example, announced earlier this month that it is about to launch its decentralised exchange, Binance DEX, for public testing. There various advantages to decentralisation. A DEX ensures the poor and unbanked can participate in the global economy: anyone can store and transfer wealth to anyone anywhere in the world, almost at no cost. Another benefit of decentralised exchanges is that users are fully in control of their data as there is no central authority storing or managing it. While centralised crypto exchanges have been the tradition so far, they have somewhat given way to the decentralised crypto exchanges. The main objective behind bitcoin and blockchain is decentralisation and thus, both the CEX’s and DEX’s should come together to develop a hybrid model which benefits all of the crypto ecosystem. Hybrid crypto exchanges can represent a viable option that bridges the gap between the benefits of a centralised exchange and those of a decentralised exchange. This is the way to gain the trust of numerous users and the cooperation of huge investors, while eliminating the element of subordination to a third-party and ensuring reliable storage. If there is one thing we can learn from the recent developments and news, it is to look at the shortcomings of the so-called transparent crypto sphere, realise there is plenty of work to be done in this realm, and use the combination of technology, knowledge and accountability to fight these flaws. For the blockchain & crypto revolution to produce its best outcomes, it is important to address the factors that undermine its integrity. Keep an eye out for a special episode on Financial Fox about crypto exchanges and the challenges to overcome. Follow us on @cassiopeia_ltd and subscribe to our YouTube channel. Special guests: the crypto evangelist Chico Crypto @chicocrypto & Alexander Fred, Technology Researcher and Writer of @beincrypto, the truly independent bitcoin & cryptocurrency news. This week, Hungary has joined the European Blockchain Partnership, becoming the 29th member country. The partnership is led by the European Union Blockchain Observatory and Forum, which aims to accelerate blockchain innovation and the development of the blockchain ecosystem within the European Union. More than that, the objective of the forum is to promote education, understanding and research around blockchain. The EU Blockchain Observatory and Forum was launched by the European Commission in February last year. It will see the investment of 300 million euros into projects that support the use and adoption of blockchain technology for economic, technical and societal changes. The forum plans to become an articulator between researchers and the EU, make the most appropriate recommendations, and oversee initiatives and implementations throughout the member countries. It will also aid in creating more appropriate regulations in the region. The forum is part of the the Horizon 2020 programme, the largest Research and Innovation programme ever launched by the EU. It will make €80 billion of funding available over 7 years, from 2014 to 2020, to support the EU’s reach for excellence in the area. Blockchain, as one of the most important technologies introduced by the Fourth Industrial Revolution, has immense industrial and technical value. The European Commission understands that blockchain is not merely about finance, even though this is the area in which the benefits are already most tangible. Beyond the finance realm, blockchain can support the development of more sophisticated and secure internet systems, as well as being integrated into other industries beyond finance — such as agriculture, education, healthcare, to name only a few. In fact, among the projects that have already received funding are two projects focused on services: MHDMD, a blockchain platform to enable safe and effective transmission and storage of medical data; , and DECODE, a system providing tools affording individuals the ability to control whether they keep their personal data private or share it for the public good. “Blockchain is a great opportunity for Europe and Member States to rethink their information systems, to promote user trust and the protection of personal data, to help create new business opportunities and to establish new areas of leadership, benefiting citizens, public services and companies,” said Mariya Gabriel, Commissioner for Digital Economy and Society at the launch of the partnership. Beyond the hype around cryptocurrencies and ICOs, which often still holds back investment and adoption, blockchain technology can have an immensely positive impact. This advanced technology can help states manage unified digital identities, gain more control over supply chains, introduce smart contracts and even prevent fraudulent actions. Blockchain is also part of the European Commission’s Fintech Action Plan, a 23-step strategy designed to increase the adoption of new technologies, create a business-friendly environment, increase cybersecurity and consumer protection and allow for integrity of the financial system across the EU backed by new technologies. The Fintech plan will also present a blueprint with best practices on regulatory sandboxes, based on guidance from European Supervisory Authorities. A regulatory sandbox is a framework set up by regulators to allow FinTech startups and other innovators to conduct live experiments in a controlled environment, under a regulator’s supervision. “The position taken by the European Commission shows professionalism, commitment and open-mindness towards embracing the benefits of disruptive technologies. It shows the EU understands the potential of blockchain beyond media and market speculation, and serves as an example for other governments around the world who are still reluctant in welcoming this powerful technology,” says Stefania Barbaglio, Director at Cassiopeia Services, leading PR firm in the blockchain space.